There's something about lime once the weather starts heating up. . . . which it has and hasn't and has and hasn't. . . . this silly weather can't make it's mind up! I'm still gonna go with the whole lime thing though, because this lime and citrus flavored cocktail was so yummy! Perfect for the warmer weather. I used my ShikShook Shaker to create this lime-y drink. Cocktail Shaker with strainer lid and lid cover. Black Velvet bag to keep all of it in or to give as a gift. 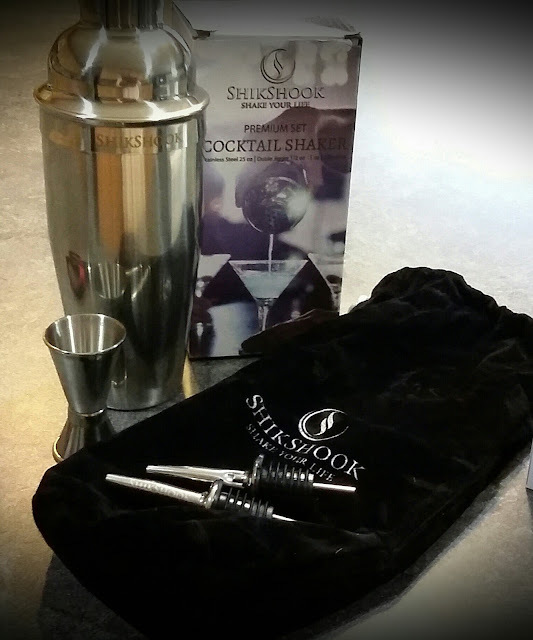 The Shaker is made out of Stainless steel and holds 25 ounces. It's a durable stainless steel that doesn't feel flimsy at all. All materials are approved by the FDA. You're supposed to be able to wash it in the dishwasher. I'll probably just hand-wash mine, though. I ordered mine through Amazon. Once you receive your shaker, you also receive a link to receive the e-book I was talking about. It has 100 drink recipes with instructions. I wish I understood all of the instructions, but I can probably look those up on the internet. For example, I don't know what "dry shake" is or what "double strain" means. But hey, it was a FREE bonus!!! I can look up what those mean on the internet. All of the recipes look yummy. I can't wait to try some. 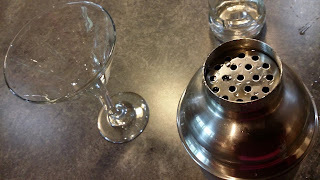 I think my hubby and I will be making many cocktails in this lovely ShikShook Cocktail shaker. Just FYI: ShikShook believes so highly in their product that they have a lifetime warranty. 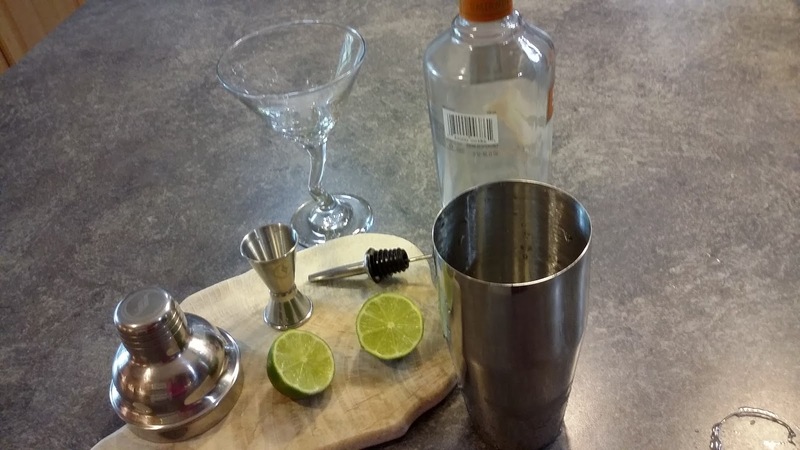 Here's how I made my Lime-tini. 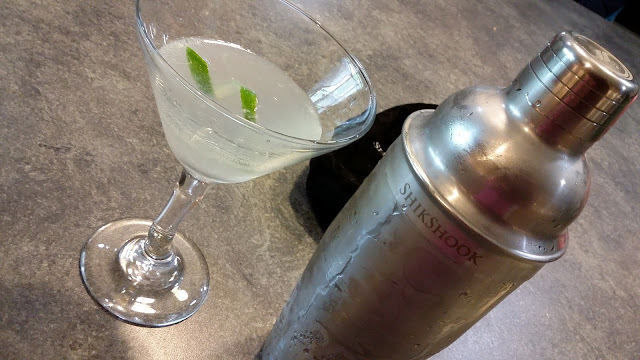 Squeeze lime juice into ShikShook shaker (don't worry about seeds-the strainer lid will strain them out). Fill shaker half way with ice. Put lid on well and shake. Although I don't have any leaks with the shaker, if you don't hold the lid on, you could have an accident. 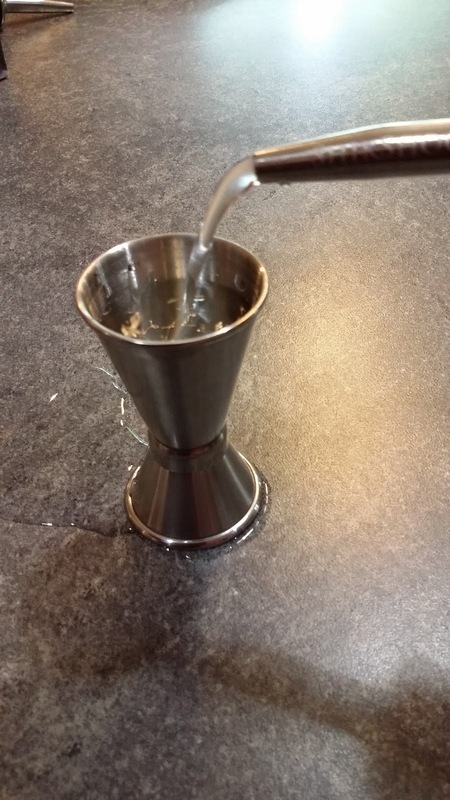 Strain vodka and lime juice into martini glass. Pour 2 oz. of chilled lime flavored sparkling mineral water into vodka and lime juice. Garnish with lime peel twist. Enjoy! I'll be making another round tonight for my hubby and myself. I loved it so much! It might taste good with a salt rimmed glass~~kind of like a margarita! You can watch me use it below. No vodka was consumed during the filming of this video. The vodka consumption happened two hours later. Hey! I had to try it for real!